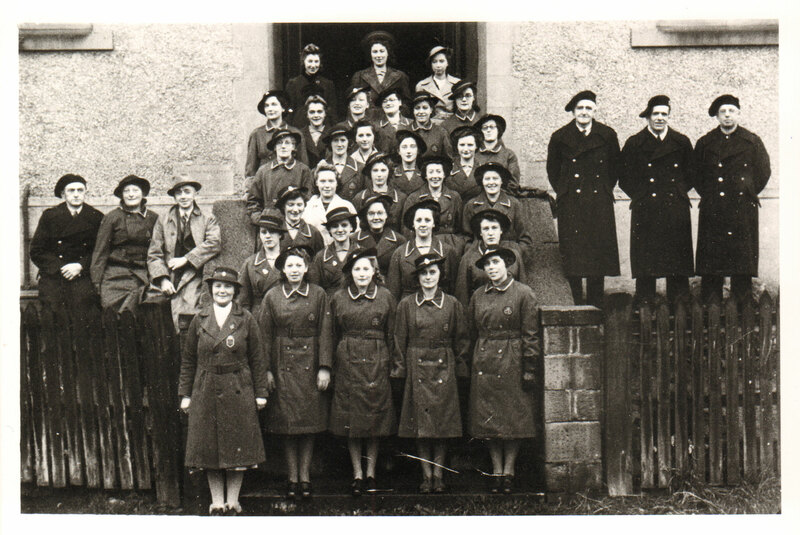 Group of Civil Defence volunteers and members of the Home Guard. Second row from back, first left: Anne Nicholson (librarian). Second row from front, at the end on the right: Barbara Bailey (librarian). Photo and names given to Ken Ellwood by Norman Gomersall. This was taken at the Ermystead street entrance to the St John's ambulance brigade hall. There was a small side entrance to the hall on the Shortbank road side. The Christ Church Scout's hut was next door, on the right of this photo, further up Ermystead street.